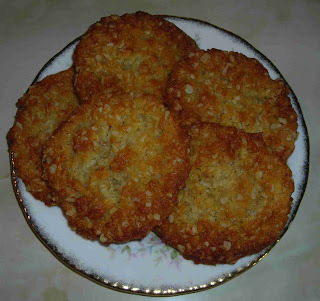 Here are my Anzac Biscuits for the A-Z Challenge on The Cooks Journal . A is for Australia and lots of us have made Anzac Biscuits. I used the recipe from BBC Good Food and it was sooo easy. I am not a huge fan of coconut, but these are really very good, I will definitely make them again.